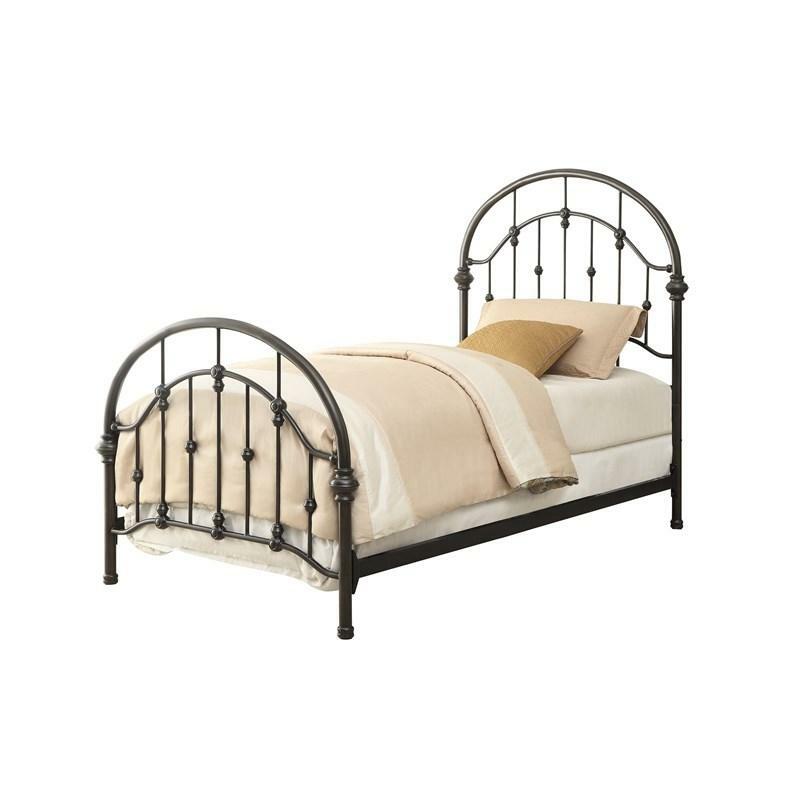 Set the tone in your home with this iron bed. 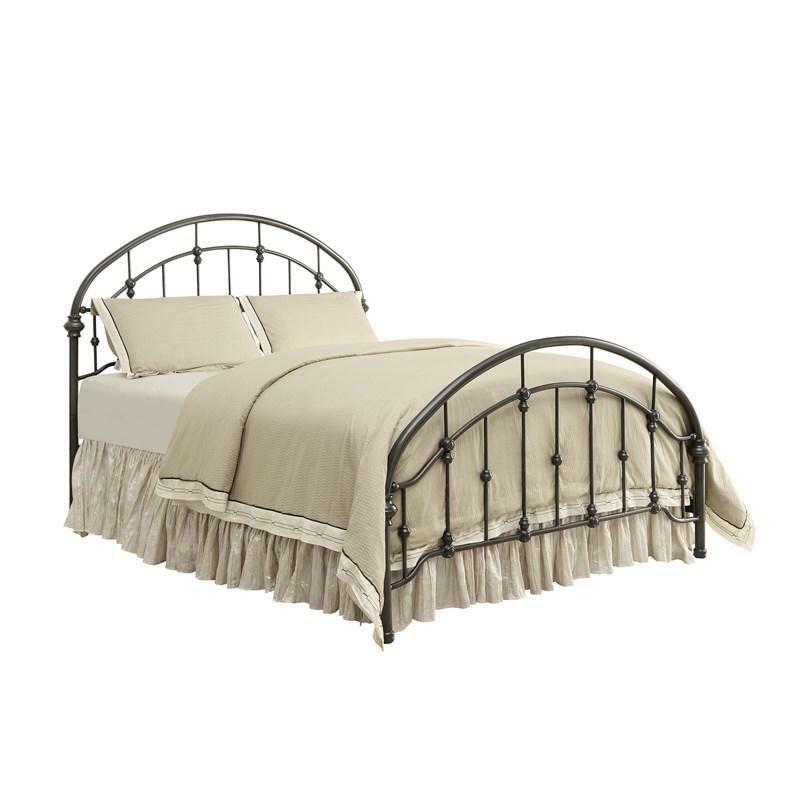 The dark bronze finish of the bed offers style that will suit a wide variety of existing decors. 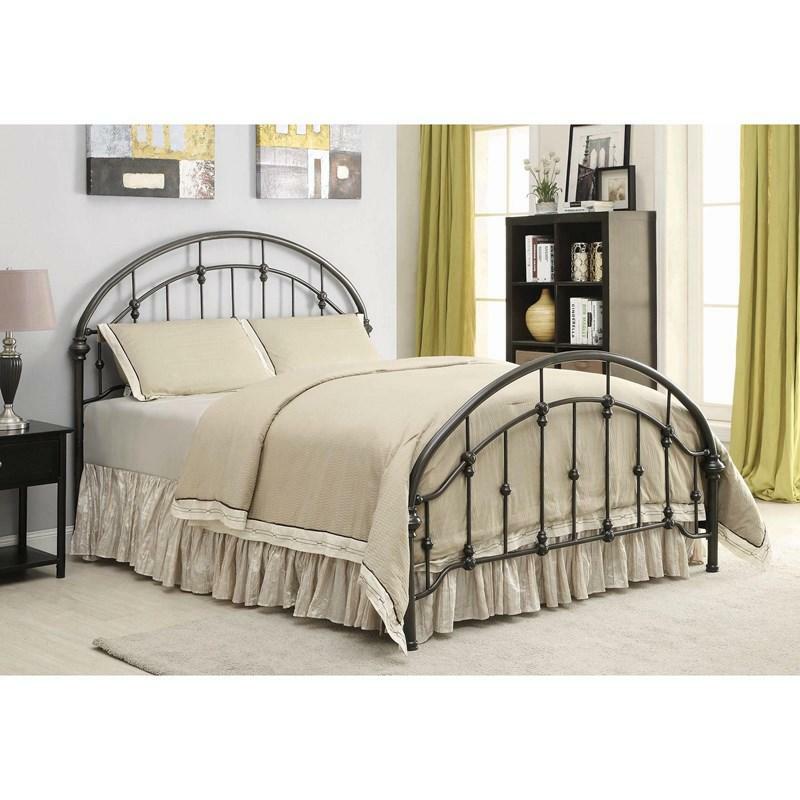 The headboard and footboard feature an ornate style with intricate curves for a feeling of fresh and simple sophistication. Bed frame included. Volume 8.6 cu. ft. / 0.24 cu. m.